The Dunkin Donuts sign at the new drive-thru location in National City. 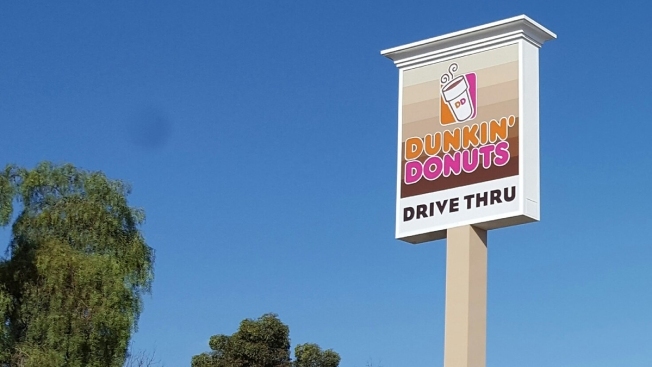 National City has gotten a sweet sign: a new Dunkin’ Donuts location, complete with a full-service drive-thru window, will soon open up shop in the area. Boardwalk Development, Inc., signed a lease with Dunkin' Donuts to create the new restaurant. The site has been under construction for several months. Recently, a shiny new sign went up at the site, symbolizing the opening of the shop is so close, locals can practically taste it. In late July, Ron Bamberger, president of Boardwalk Development, Inc., told NBC 7 a fall debut was expected for the Dunkin Donuts location. He said the store planned to host a grand opening celebration when it officially opened for business. He confirmed Tuesday it was not yet open. According to Sonya Modi, public relations specialist from Havas Formula, the company representing the project, this store will be the second Dunkin’ Donuts drive-thru in San Diego County. She too said a grand celebration was in the works for the big opening day. In late July, Modi told NBC 7 the National City location is expected to create about 100 new jobs for local residents. Bamberger said positions would include front and back-of-the-house, as well as management. 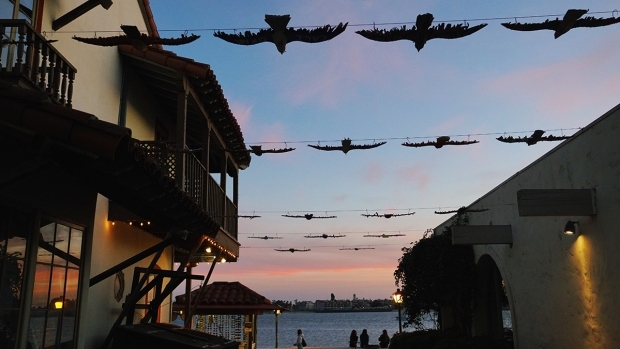 The new restaurant is locally owned and operated by a disabled U.S. veteran who lives in San Diego County, Modi said. Currently, San Diego County is home to four Dunkin’ Donuts locations: an outpost at the Embassy Suites Hotel in downtown San Diego (601 Pacific Highway); a shop at Naval Medical Center San Diego’s Building 1 (34800 Bob Wilson Dr.); a shop at MCAS Miramar’s Building 5305; and the Ramona Dunkin’ Donuts/Baskin-Robbins location (1410 Main St.).